Cool J has recently become a businessman Mr. Jackson, and he has to make a lot of phone calls now. Today he has n calls planned. For each call we know the moment ti (in seconds since the start of the day) when it is scheduled to start and its duration di (in seconds). All ti are different. Mr. Jackson is a very important person, so he never dials anybody himself, all calls will be incoming. Mr. Jackson isn't Caesar and he can't do several things at once. If somebody calls him while he hasn't finished the previous conversation, Mr. Jackson puts the new call on hold in the queue. In this case immediately after the end of the current call Mr. Jackson takes the earliest incoming call from the queue and starts the conversation. If Mr. Jackson started the call at the second t, and the call continues for d seconds, then Mr. Jackson is busy at seconds t, t + 1, ..., t + d - 1, and he can start a new call at second t + d. Note that if Mr. Jackson is not busy talking when somebody calls, he can't put this call on hold. Mr. Jackson isn't Napoleon either, he likes to sleep. So sometimes he allows himself the luxury of ignoring a call, as if it never was scheduled. He can ignore at most k calls. Note that a call which comes while he is busy talking can be ignored as well. What is the maximum number of seconds Mr. Jackson can sleep today, assuming that he can choose an arbitrary continuous time segment from the current day (that is, with seconds from the 1-st to the 86400-th, inclusive) when he is not busy talking? Note that some calls can be continued or postponed to the next day or even later. However, the interval for sleep should be completely within the current day. The first input line contains a pair of integers n, k (0 ≤ k ≤ n ≤ 4000) separated by a space. Following n lines contain the description of calls for today. The description of each call is located on the single line and consists of two space-separated integers ti and di, (1 ≤ ti, di ≤ 86400). All ti are distinct, the calls are given in the order of strict increasing ti. Scheduled times of calls [ti, ti + di - 1] can arbitrarily intersect. Print a number from 0 to 86400, inclusive — the maximally possible number of seconds for Mr. Jackson to sleep today. In the first sample the most convenient way is to ignore the first two calls. fifth call: from 80000-th to 139999-th second. Thus, the longest period of free time is from the 40001-th to the 79999-th second. The Berland University is preparing to celebrate the 256-th anniversary of its founding! A specially appointed Vice Rector for the celebration prepares to decorate the campus. In the center of the campus n ice sculptures were erected. The sculptures are arranged in a circle at equal distances from each other, so they form a regular n-gon. They are numbered in clockwise order with numbers from 1 to n.
The site of the University has already conducted a voting that estimated each sculpture's characteristic of ti — the degree of the sculpture's attractiveness. The values of ti can be positive, negative or zero. the sum of the ti values of the remaining sculptures is maximized. Help the Vice Rector to analyze the criticism — find the maximum value of ti sum which can be obtained in this way. It is allowed not to melt any sculptures at all. The sculptures can not be moved. The first input line contains an integer n (3 ≤ n ≤ 20000) — the initial number of sculptures. The second line contains a sequence of integers t1, t2, ..., tn, ti — the degree of the i-th sculpture's attractiveness ( - 1000 ≤ ti ≤ 1000). The numbers on the line are separated by spaces. Print the required maximum sum of the sculptures' attractiveness. In the first sample it is best to leave every second sculpture, that is, leave sculptures with attractivenesses: 2, 4, 5 и 3. After the lessons n groups of schoolchildren went outside and decided to visit Polycarpus to celebrate his birthday. We know that the i-th group consists of si friends (1 ≤ si ≤ 4), and they want to go to Polycarpus together. They decided to get there by taxi. Each car can carry at most four passengers. What minimum number of cars will the children need if all members of each group should ride in the same taxi (but one taxi can take more than one group)? The first line contains integer n (1 ≤ n ≤ 105) — the number of groups of schoolchildren. The second line contains a sequence of integers s1, s2, ..., sn (1 ≤ si ≤ 4). The integers are separated by a space, si is the number of children in the i-th group. Print the single number — the minimum number of taxis necessary to drive all children to Polycarpus. the first and the second group (consisting of one and two children, correspondingly). There are other ways to sort the groups into four cars. "Contestant who earns a score equal to or greater than the k-th place finisher's score will advance to the next round, as long as the contestant earns a positive score..." — an excerpt from contest rules. A total of n participants took part in the contest (n ≥ k), and you already know their scores. Calculate how many participants will advance to the next round. The first line of the input contains two integers n and k (1 ≤ k ≤ n ≤ 50) separated by a single space. The second line contains n space-separated integers a1, a2, ..., an (0 ≤ ai ≤ 100), where ai is the score earned by the participant who got the i-th place. The given sequence is non-increasing (that is, for all i from 1 to n - 1 the following condition is fulfilled: ai ≥ ai + 1). Output the number of participants who advance to the next round. In the first example the participant on the 5th place earned 7 points. As the participant on the 6th place also earned 7 points, there are 6 advancers. In the second example nobody got a positive score. Aunt Lizzie takes half a pill of a certain medicine every day. She starts with a bottle that contains N pills. On the first day, she removes a random pill, breaks it in two halves, takes one half and puts the other half back into the bottle. On subsequent days, she removes a random piece (which can be either a whole pill or half a pill) from the bottle. If it is half a pill, she takes it. If it is a whole pill, she takes one half and puts the other half back into the bottle. In how many ways can she empty the bottle? We represent the sequence of pills removed from the bottle in the course of 2N days as a string, where the i-th character is W if a whole pill was chosen on the i-th day, and H if a half pill was chosen (0 <= i < 2N). How many different valid strings are there that empty the bottle? The input will contain data for at most 1000 problem instances. For each problem instance there will be one line of input: a positive integer N <= 30, the number of pills initially in the bottle. End of input will be indicated by 0. For each problem instance, the output will be a single number, displayed at the beginning of a new line. It will be the number of different ways the bottle can be emptied. You are given a list of N non-negative integers a(1), a(2), ... , a(N). You replace the given list by a new list: the k-th entry of the new list is the absolute value of a(k) - a(k+1), wrapping around at the end of the list (the k-th entry of the new list is the absolute value of a(N) - a(1)). How many iterations of this replacement are needed to arrive at a list in which every entry is the same integer? 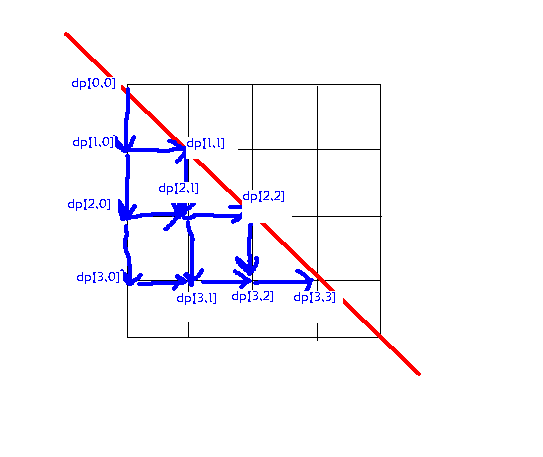 Thus, 8 iterations are needed in this example. The input will contain data for a number of test cases. For each case, there will be two lines of input. The first line will contain the integer N (2 <= N <= 20), the number of entries in the list. The second line will contain the list of integers, separated by one blank space. End of input will be indicated by N = 0. For each case, there will be one line of output, specifying the case number and the number of iterations, in the format shown in the sample output. If the list does not attain the desired form after 1000 iterations, print 'not attained'.